As DIGIXX Awards 2018 moves ahead to its second edition, to be held at The Leela Ambience on March 9, the first Jury list of eminent industry names has been released. The DIGIXX Awards are judged by an independent panel of highly acclaimed thought leaders in the advertising ecosystem, who create campaigns for the world’s most powerful brands, marketers with direct control over many of the largest advertising budgets and major media company leaders. Jaswant Singh, Country Manager, Comexposium India. Dhruvi Joshi, Co-founder and Head, Media & Innovationt, PivotRoots. 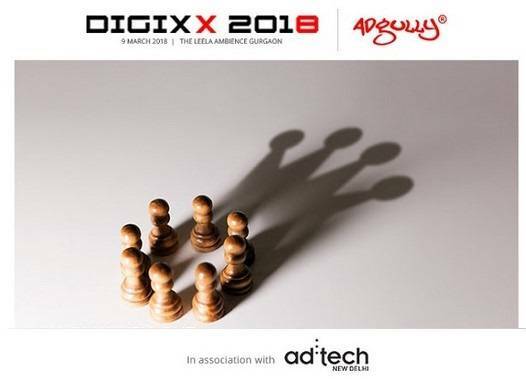 DIGIXX, an award platform by Adgully in association with ad:tech, has on board Sony LIV and Voot as the Digital Partners. BTVI is the Business Television Partner, while PivotRoots is the Digital Creative Partner. Click here to send in your entries and for more information on the Awards.